On Friday, May 23rd 2014 at 15:00, ECOmove will celebrate its 5th birthday. 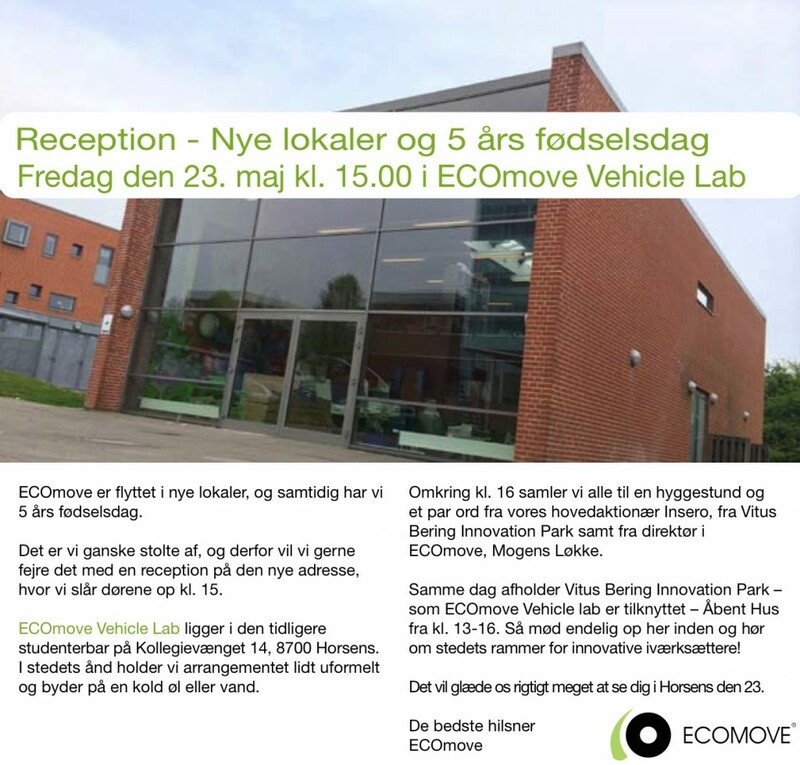 The celebration will take place in our brand new facilities – the ECOmove Vehicle Lab – at Vitus Bering Innovation Park. Download the invitation as a pdf below (only available in Danish). If you arrive by car, you’ll find an overview of the parkering possibilities here.